There are actually more Linux gamers than ever before. How many Linux gamers are there? It’s tough to say. We don’t even know how many Linux users there are in general. 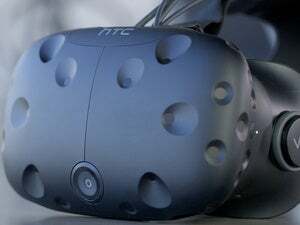 Valve’s Steam Hardware Survey supposedly sheds light on the OS breakdown among gamers, and it appears to show Linux use declining. But Valve’s Steam Hardware Survey is misleading, obscuring the fact that Linux gaming is healthier than ever. Here’s one obvious caveat: Steam’s user numbers are growing. So while Linux usage on the Steam Hardware Survey has declined from about 2 percent in March 2013 to 0.91 percent in February 2015, that smaller percentage is from a larger overall user base. In October 2013, Valve announced there were over 65 million Steam users around the world. In February 2015, Valve announced there were over 125 million active Steam users worldwide. User numbers nearly doubled in less than a year! So let’s look at percentages. In October 2013, the Steam Hardware Survey showed 0.98 percent of Linux users. That’s about 637,000 Linux gamers. In February 2015, the Steam Hardware Survey showed 0.91 percent of Linux users. That’s over 1.2 million Linux gamers! 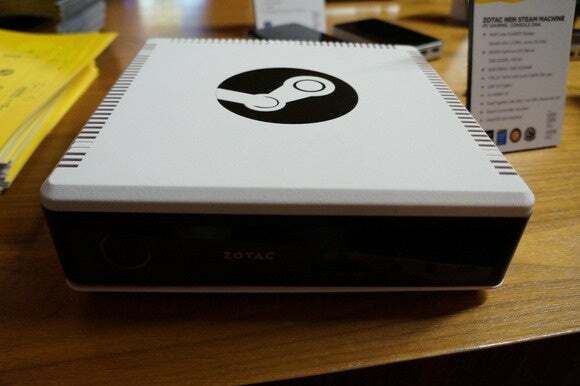 Here’s something surprising: Valve’s Steam Hardware Survey doesn’t include its own SteamOS operating system as part of the Linux market share, nor does the Steam Hardware Survey show it as another operating system. The Steam Hardware Survey just doesn’t appear for users in Big Picture Mode, and Steam on SteamOS is always in Big Picture Mode. Even if Valve’s Steam Machines were flying off the shelves, we wouldn’t see any uptick in Linux or SteamOS in the Steam Hardware Survey. This is pretty surprising—the Steam Hardware Survey is designed to show developers how prevalent different hardware and operating systems are. By underreporting Linux usage, Valve discourages developers from targeting Linux and SteamOS. That’s a curious decision on Valve’s part. Valve should count SteamOS if it wants developer support. Look, I’m a fan of Linux and I’m excited to see Linux gaming taking off. I was gaming on Linux when the only modern games we had were Unreal Tournament 2004 and Doom 3. When Unreal Tournament 3 never appeared on Linux despite Epic’s repeated promises, and iD dropped support for Linux, I thought the OS was truly done for. I’m excited to see it doing better than ever. Steam’s Hardware Survey numbers don't tell the whole story, and my previous column post was misleading for relying on them. There are almost certainly more Linux gamers than ever, and more Linux games than ever are being released. Linux hasn’t taken over the PC gaming world yet, but it’s healthier than it’s ever been. In fact, Valve doesn’t publish much information about the Steam Hardware Survey’s methodology at all, so perhaps we should take all of its findings with a grain of salt. On the other hand, it’s the best information we have as there are no alternative reports of its kind. But it's worth noting that it's not just the media relying on this information—game developers use these Valve-provided statistics when deciding whether to port games. Hopefully, they too are digging beneath the report's surface. Thanks to Gaming on Linux for criticizing my previous post and bringing this issue to light. If you’re interested in more statistics, they’ve put together additional data that gives a bigger picture of how Linux gaming is doing.